August 2017, in cooperation with Stadthalle Vienna, more details coming soon! Superstring theory [Calabi-Yau] is a solo live recording from the SoundOut festival in Canberra 2017. Why the title: because the algebraic geometry of Calabi-Yau related to Superstring theory conjures up multi-dimensional lines and folds in space, and way of perceptions, that suits Irene's musical free improvisations/spontaneous compositions. Irene's solo is multilayered and “multidimensional” and one feels like you are following any of the various lines of thought that disappear in one dimension and appear in another, somewhere completely unexpected in a whorl of brilliant creativity. Petr Veba - trump(in)et, electr., comp. 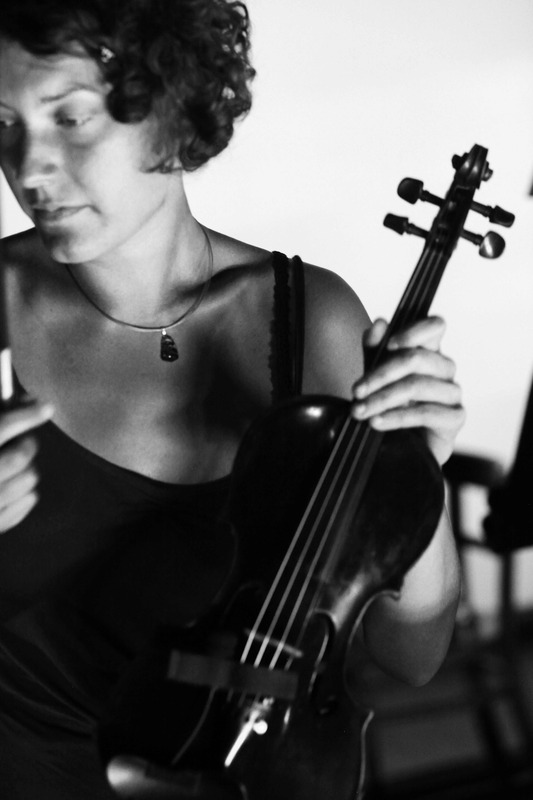 Irene Kepl - violin, electr., comp. sound installation Klang Mosaik, Gemeindeamt Ottensheim "Kunst am Bau"